A free (for personal use) browser extension called "IE Tab" can be added to Chrome or to Firefox in Windows to allow Internet Explorer components to support displaying and running web pages in a tab inside Chrome or Firefox. This enables you to display web pages that use Microsoft Silverlight (such as CTI Navigator Web), Microsoft Sharepoint or ActiveX controls within your Chrome or Firefox browser, even if the browser itself does not correctly load Silverlight or ActiveX Controls. The IE Tab also includes an "Auto URL" site filter that allows you to specify which web addresses should always be opened in an IE Tab in the browser. For optimal convenience, set IE Tab to always open your MLS website for CTI Navigator Web in Chrome or Firefox. Both of the original "IE Tab" extensions are very highly rated by users. IE Tab is rated 4.5 stars (out of 5) by over 3 million Chrome users and has been a "Top 10" extension since 2009. Beware that other IE Tab emulators may include adware, spyware, or malware. If Silverlight fails to load, crashes frequently or fails to properly display or print from all CTI Navigator Web pages in Chrome or Firefox in Windows, install one of these IE Tab extensions appropriate for your browser, and activate the IE Tab extension when running CTI Navigator Web. Currently there is no IE Tab for any Mac browser. To print reports from CTI Navigator II in Firefox, either print using Firefox's PDF viewer (recommended), or install and run IE Tab 2 in your Firefox. Open Chrome in Windows and click here to go to the Chrome Web Store IE Tab webpage. 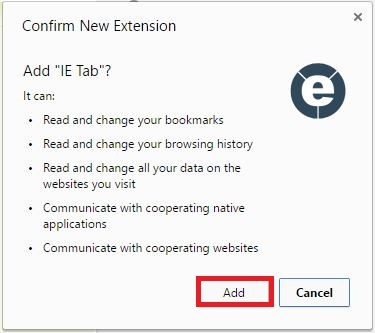 Click the IE Tab icon in the Chrome toolbar and, if prompted, download/save the IE Tab Helper (which is published by Blackfish Software to maintain IE Tab's compatibility with newer versions of Chrome). At Chrome's download security prompt, select Keep. Open your Download folder, right-click on the ietabhelper.exe file that you downloaded, and select "Run as Administrator" (or "Run" in Windows XP). This is needed only for the first use. If "ietabhelper.exe" does not install, download "ietabhelper.MSI" at http://www.ietab.net/enterprise/ietabhelper.msi and double-click to install. Close Chrome entirely, or open a new tab. Note: Do not click the IE Tab icon when at the Chrome Web Store website. This can cause a misleading error such as "Sorry, your browser is not supported just yet..."
Alternatively, you can use the asterisk wildcard character (*) in place of your MLS code; and enter (or copy and paste) http://*web.ctimls.com/ and/or enter http://*mls.com/ as appropriate for whichever address you are using for your MLS. Click the Add button to save the address. X to close the IE Tab Options screen (and restart Chrome if prompted). Click on Details beneath IE Tab, click the "Remove" button at the bottom of the screen and in the subsequent "Confirm Removal" screen. IE Tab Multi alternative. An alternative (but less frequently used extension) to this original "IE Tab for Chrome" extension is “IE Tab Multi (Enhance)". If desired, you can click here to download IE Tab Multi from the Chrome Webstore. Optional but highly recommended: Click the "Sites Filter" tab and enter CTI Navigator's full website address for your MLS (including http:// at the beginning, and / at the end) as described in the "to always open..." section below. 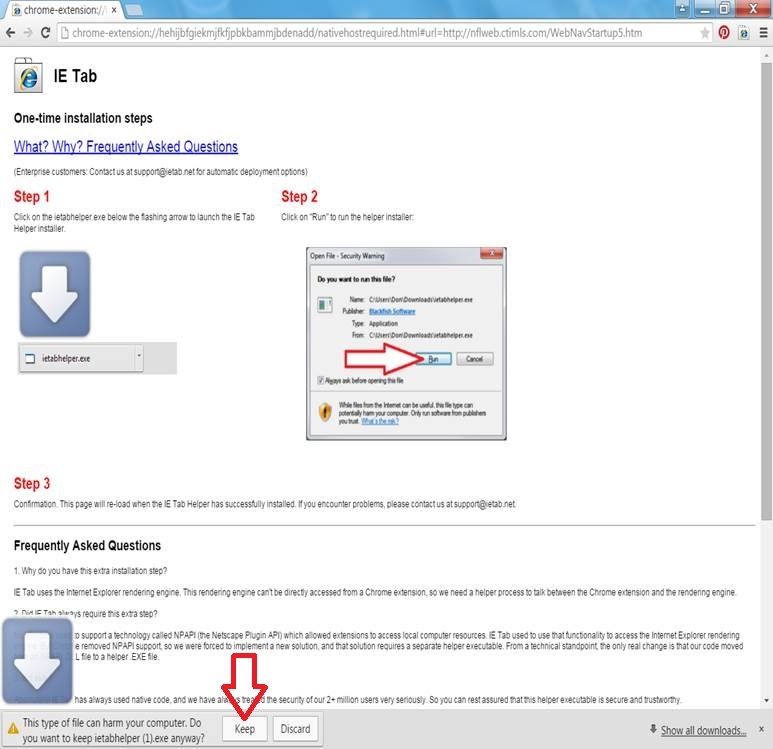 If you do not enter CTI Navigator's website address in the Sites Filter, you will need to manually activate IE Tab2 (as described below) whenever you open CTI Navigator Web. 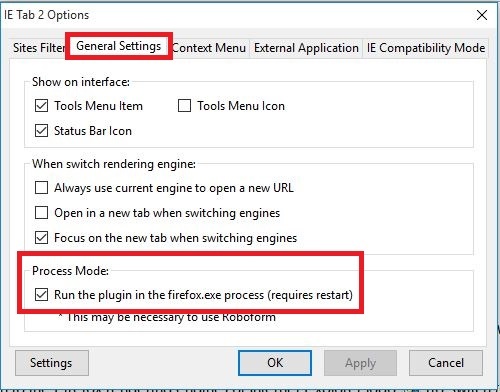 Click the OK button to close IE Tab Options screen and restart Firefox. The IE Tab button in the Firefox toolbar toggles between displaying an arrow pointing to a mini embedded Internet Explorer logo (to switch from "Firefox only" and add the Internet Explorer rendering engine for the current web page) or an arrow pointing to a mini embedded Firefox logo (to switch from IE Tab to the Firefox rendering engine for the current web page). When IE Tab 2 is enabled on a web page, the tab for the web page will display a mini Internet Explorer icon and the IE Tab button in the Firefox toolbar will display the switch to Firefox icon . Sign into CTI Navigator . You also can use the asterisk wildcard character in place of your MLS code and enter http://*web.ctimls.com/ and/or enter http://*mls.com/ as appropriate. Enter both addresses if you are unsure. Click Apply button to add another address, or click OK button to close. Fire IE alternative. An alternative (but far less frequently used extension) to the original "IE Tab for Firefox" extension is Fire IE. Fire IE includes "Adblock Plus" support. If desired, you can click here to download Fire IE from Mozilla. This extension has not been tested by CTI. Click here to go to CTI's menu of Help & Tutorials web page.